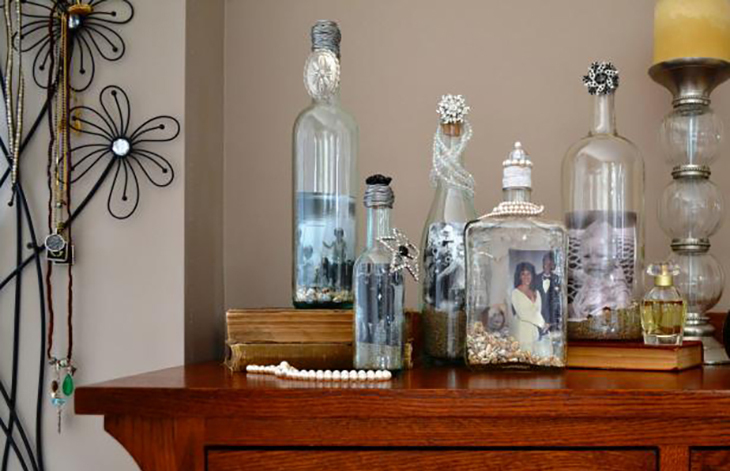 Do you have a lot of empty bottles laying around? 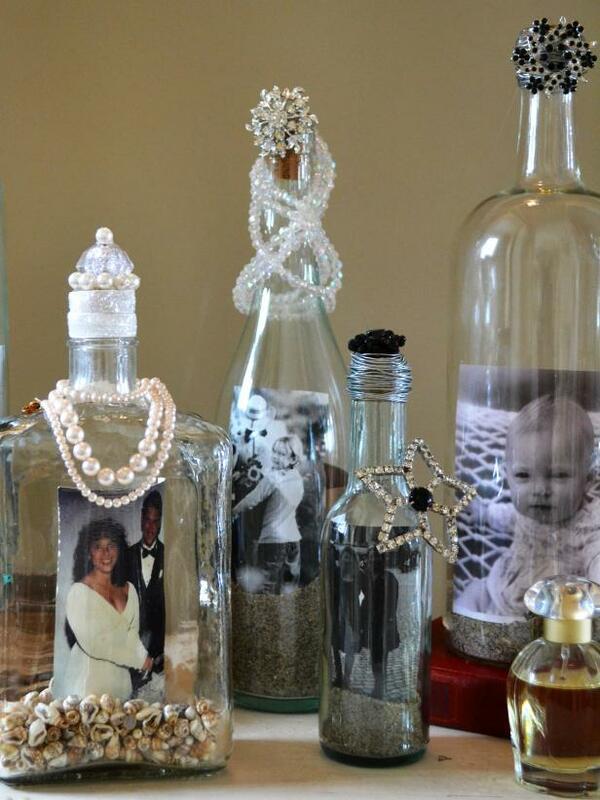 Put a photo inside a glass bottle. This adds a vintage-look and feel to any home. 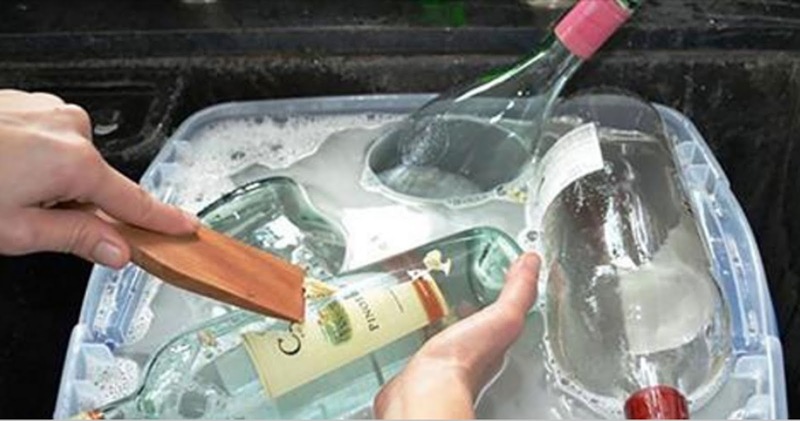 To create a glass bottle picture frame, first remove the labels from the glass bottles by using hot water and soap. 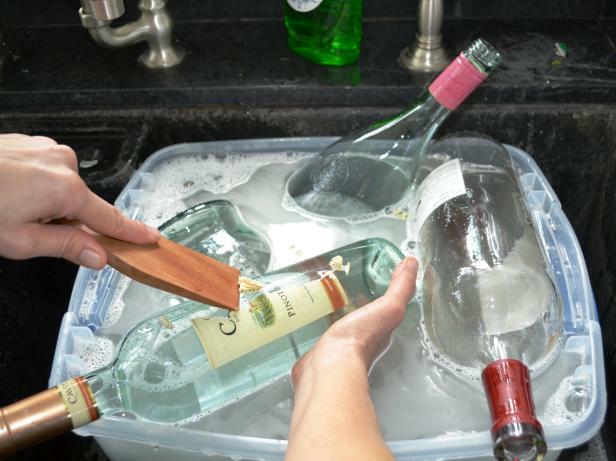 Then use a flat tool to remove the label. Next, roll up the photo you would like to use. 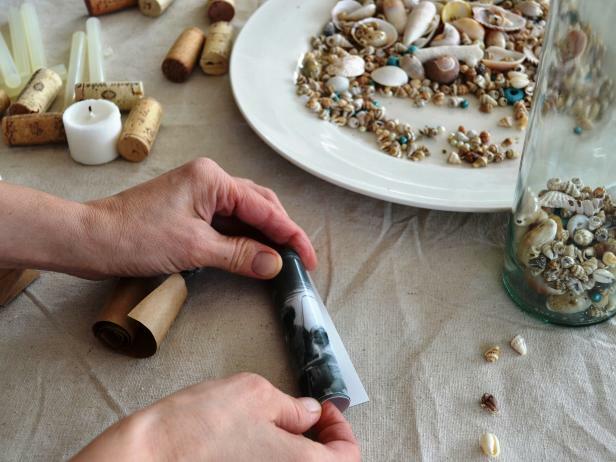 You can add seashells and marbles to the base of the jar to create a “beachy” feel to it. Put the photo into the bottle. 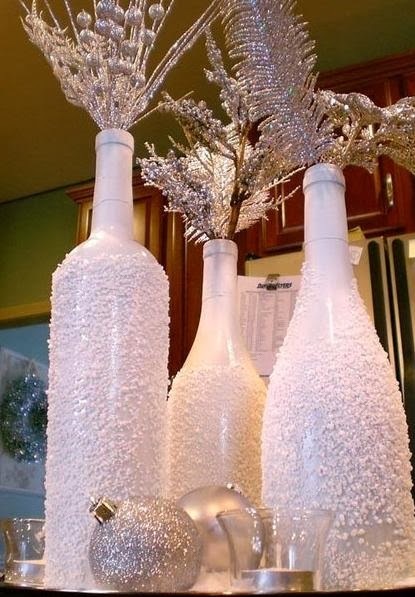 Add some decorations to the glass bottle to really make it stand out from the rest of the room. 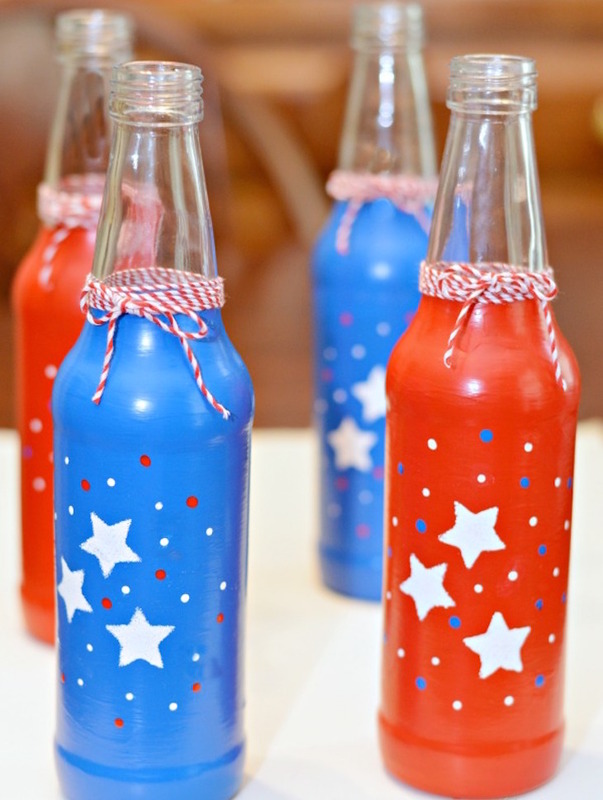 Serve your guests cold drinks on July 4th in these patriotic-themed bottles. Follow this tutorial to create a beautiful vase for plants and flowers. 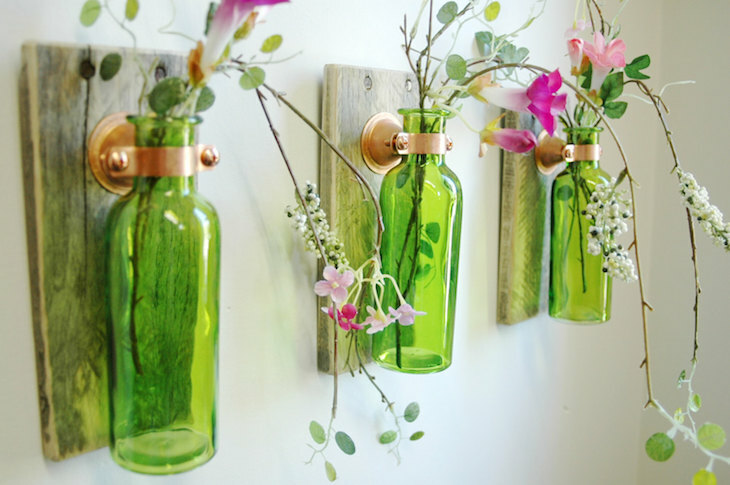 Create a stunning, but minimalistic vase. This is unique and one-of-a-kind, but it’s not too loud. 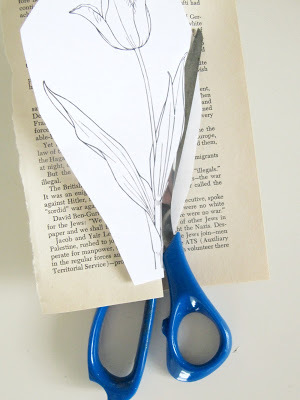 First, cut out a design from an old book or newspaper. 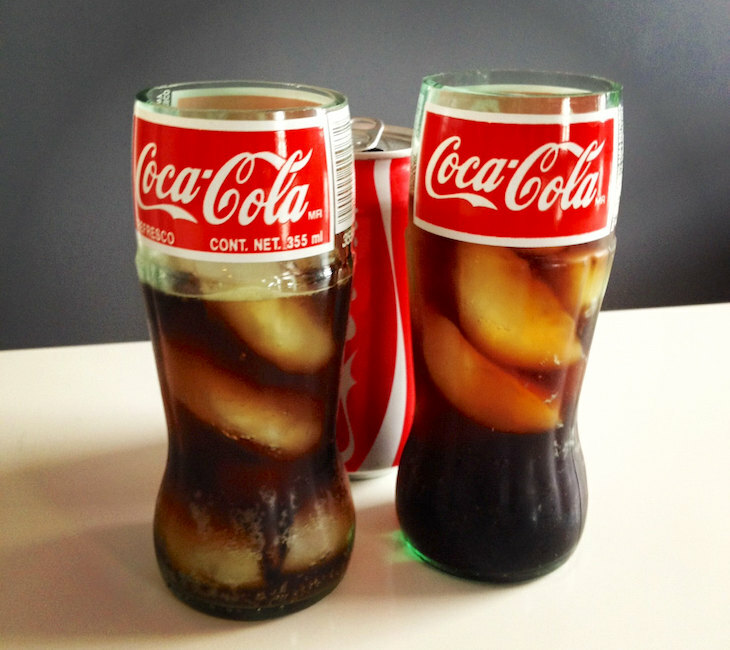 Then, use a flat white paint to cover the glass bottle. 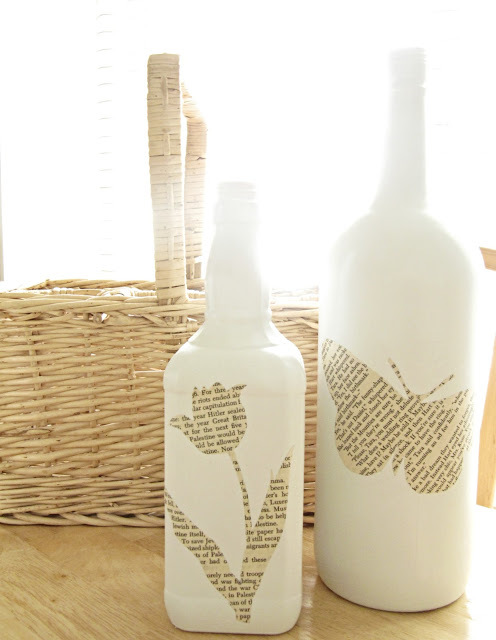 Finally, glue the paper design onto the bottle, and you have yourself a unique-looking vase! 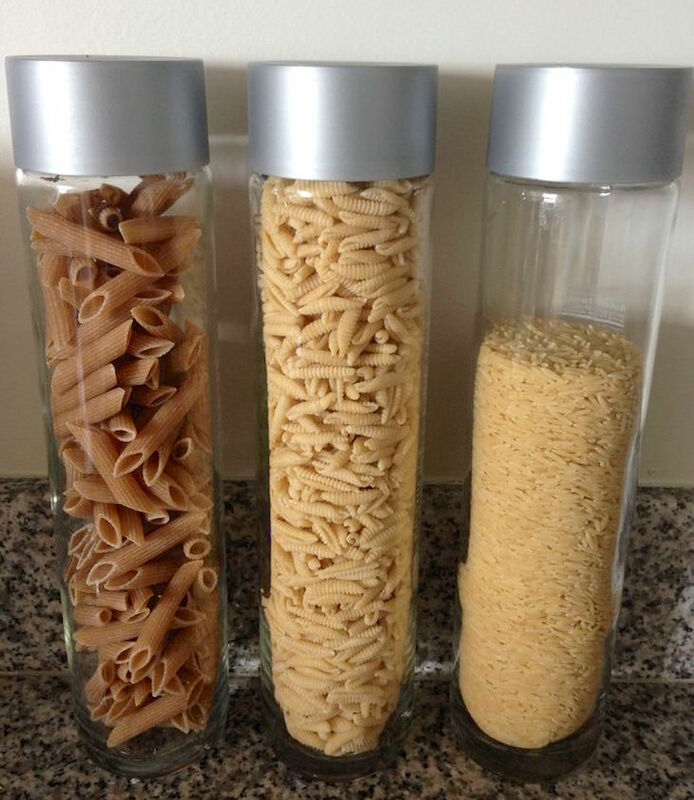 VOSS water bottles and other glass water bottles with caps are perfect to store dry goods like pasta. 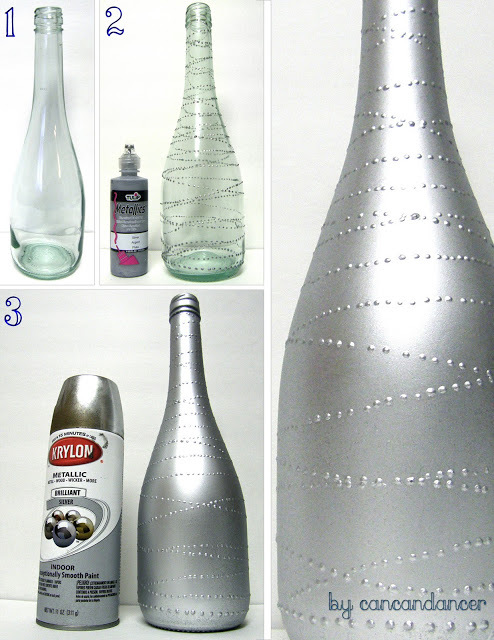 Rather than use a plastic spray bottle, use an old glass twist-top bottle as a base for a spray bottle. 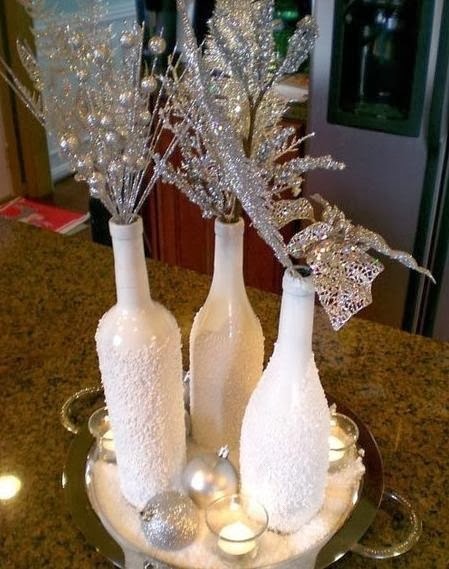 Why buy winter decorations each year when you can make your own at home? 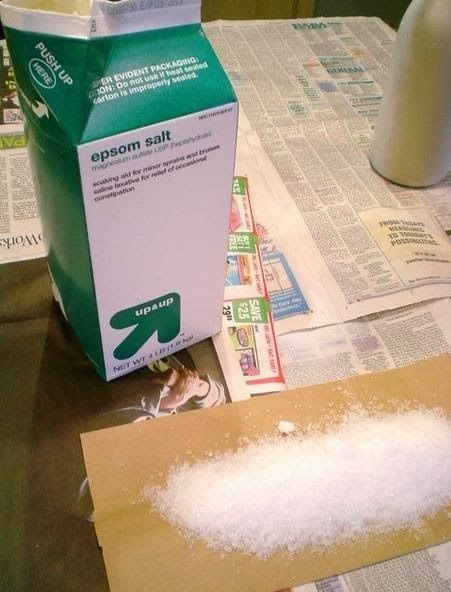 To do this, you willd need epsom salt, white paint, newspaper, and a glass bottle. 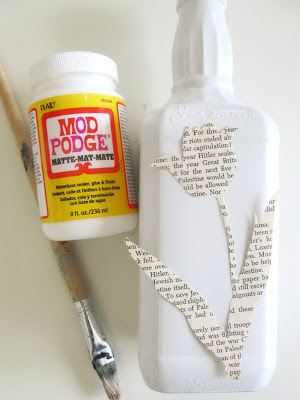 Paint a bottle and then coat it with epsom salt that is spread across a newspaper. 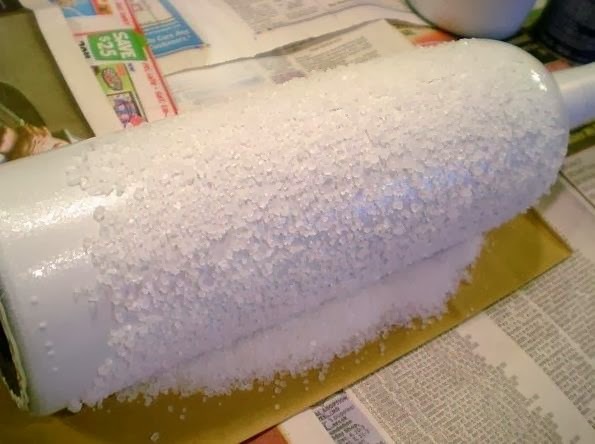 The epsom salt will stick to the paint, and you will have a vase that looks like it’s covered in snow. 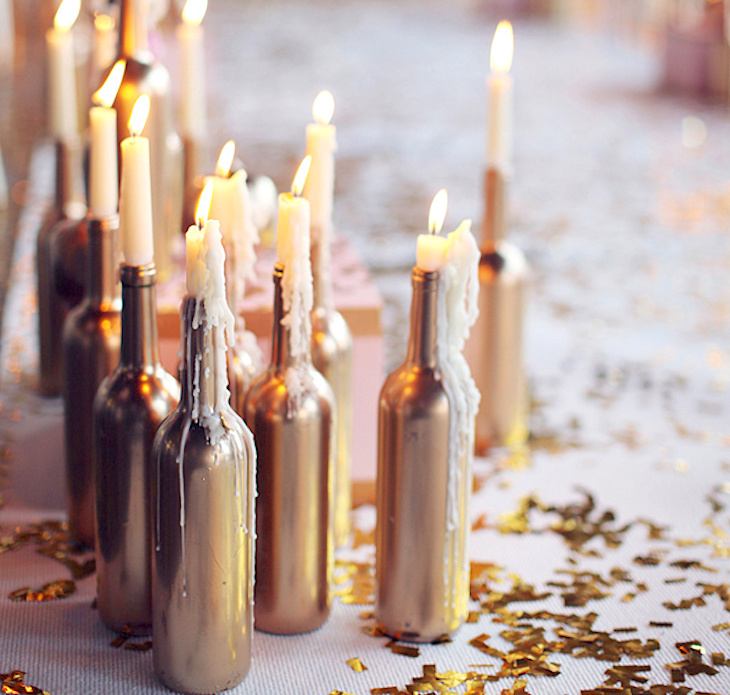 Coat a glass bottle in gold paint. Then add a candle to them. This is perfect for any romantic evening! 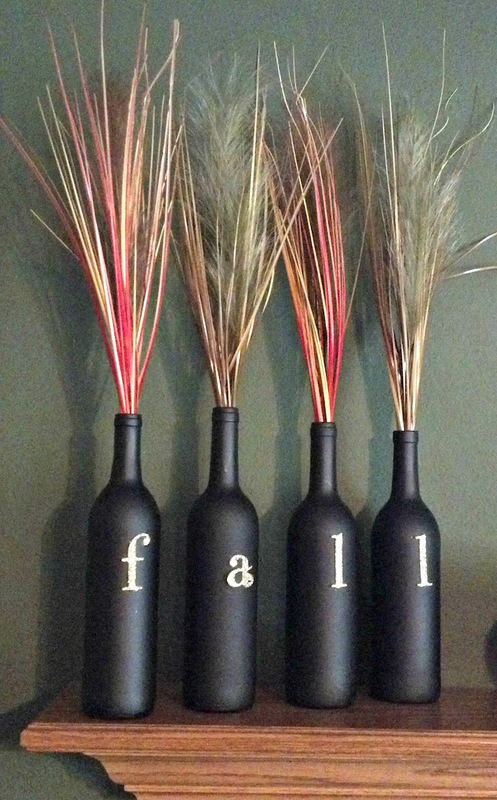 Add letters to a glass bottle to form a word. This can be a great greeting. 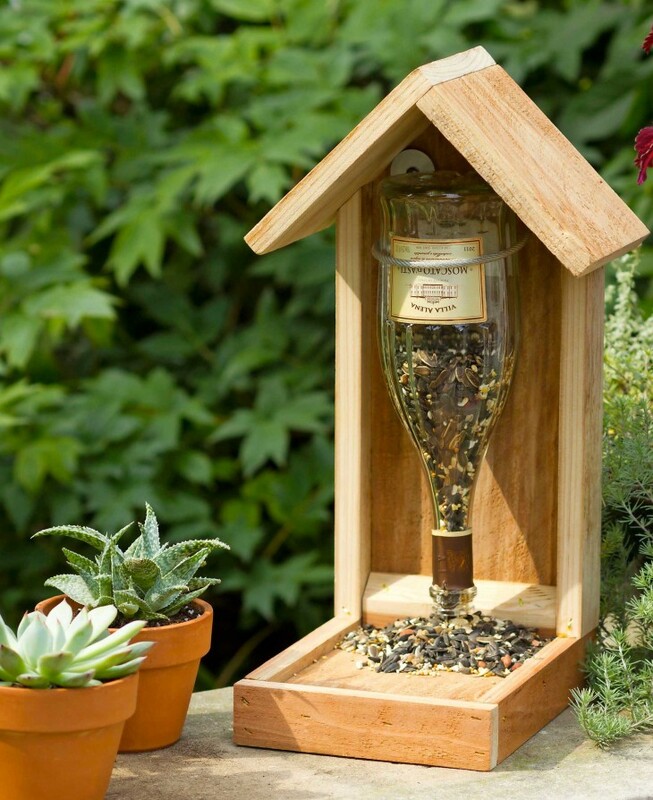 A glass bottle is the perfect DIY bird feeder for the yard. 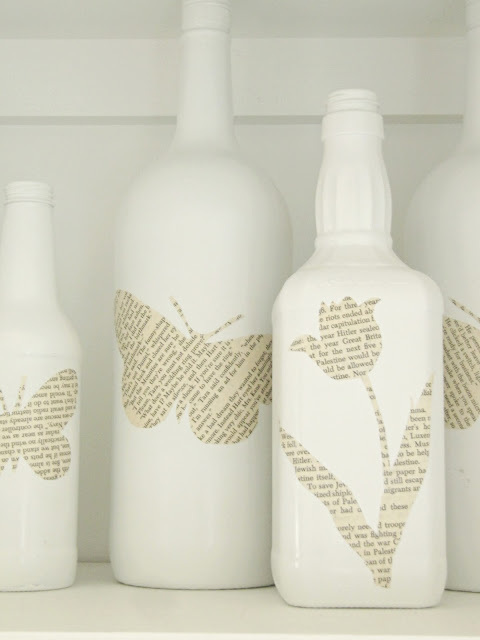 Cut a branded glass bottle to create a drinking glass that is a timeless classic. 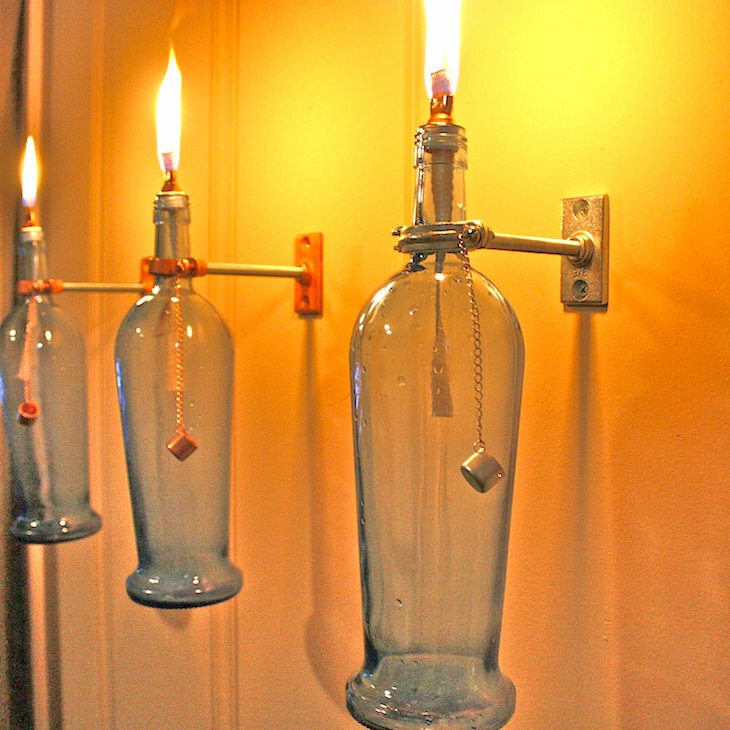 Using tiki wick, kerosene, and a lighter you can create an oil lamp that is perfect for an evening outside. What did you think? We want to hear your thoughts. Let us know in the comments below!